The MR15 design of 2 micro SD slots, integrates a high performance AU6472 flash card controller as well as a splendidly efficient DMA hardware engine and internal 1.8V regulators. 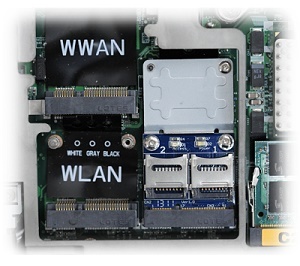 The MR15 is fully compliant with USB Device Class Definition for Mass Storage and Bulk-Transport V1.0. Boosts System Performance in Windows 7. Ideal for use with the micro SD for ReadyBoost and Data backup. A Windows feature allows you to boost your system performance with fast caching directly to the Micro SD Card. This allows you to access the data stored on your Micro SD card faster than accessing it from your hard disk drive. Designed for use with laptop / netbook computers. 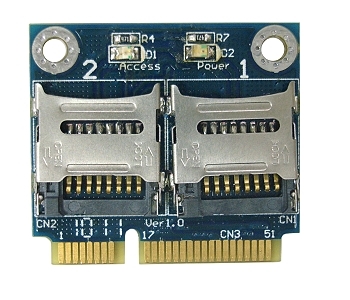 Fully compatible with USB 2.0 High Speed and backward compatible with USB 1.1 specifications. Windows generic Mass Storage Class driver supported. Supports Windows ME/2000/XP/Vista/7 and Mac OS. Complies with Secure Digital Card (SD) specification up to ver. 3.0 (SDXC). 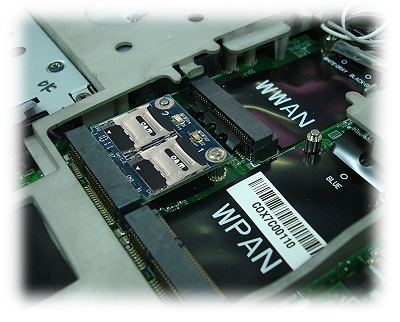 Integrated hardware DMA engine enhances overall performance of data transfers. 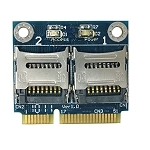 USB 2.0 based PCI Express Half-Mini Card design, suitable for any PCI Express Mini Card slot. 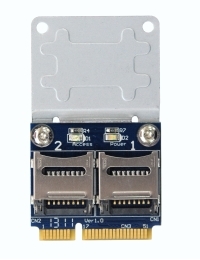 MR15 is a standard USB mass storage device. 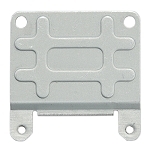 Designed for Extension/Secondary HDD. Application is readyboost and backup/Storage functions. Basically, MR15 can’t be bootable to Windows XP/ VISTA / Windows 7. 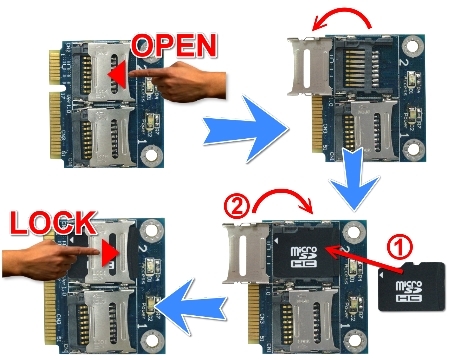 Click the button below to add the MR15 (Dual Micro SD Cards to Mini PCIe adapter) to your wish list.